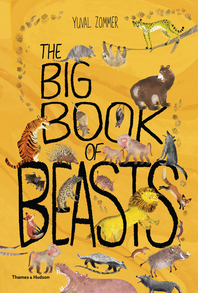 Following up the hugely successful The Big Book of Bugs, The Big Book of Beasts, and The Big Book of the Blue, The Big Book of Birds is a fact-filled tour of the world’s most wonderful winged creatures. Yuval Zommer’s distinctive illustrations show off some of the most colorful, flamboyant, impressive, and wacky birds of the sky. 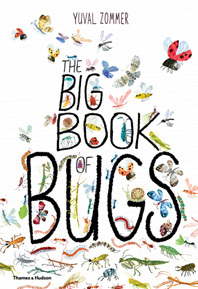 Picture-book charm pairs with informative nonfiction to make a beautiful, large-format title for parents to share with young children and for older children to read by themselves. 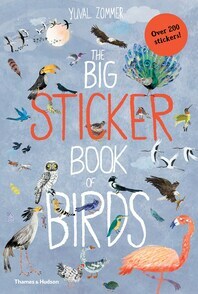 The book draws in children and parents alike with captivating information about and charming illustrations of hummingbirds, peacocks, flamingos, bald eagles, secretary birds, puffins, red-crowned cranes, and more. 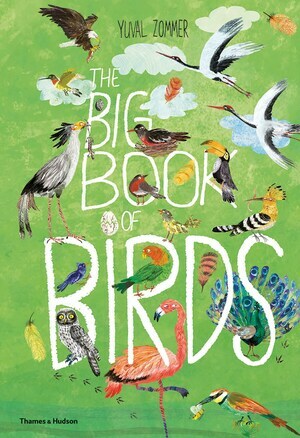 The book also invites young bird-watchers to protect birds where they live and make their gardens bird-friendly. 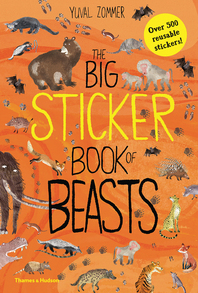 The text is chatty, funny, and full of remarkable facts. 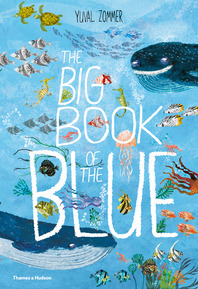 Yuval Zommer’s illustrations and fresh approach are what make this series feel distinct. 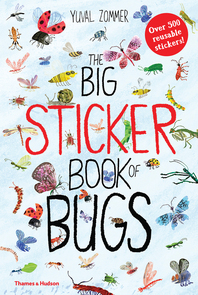 His glorious and quirky pictures appeal to young children, who will relish the flighty questions and pithy facts about the most exciting creatures of the sky.